Serving Flagstaff Delicious Food for Over 30 Years! 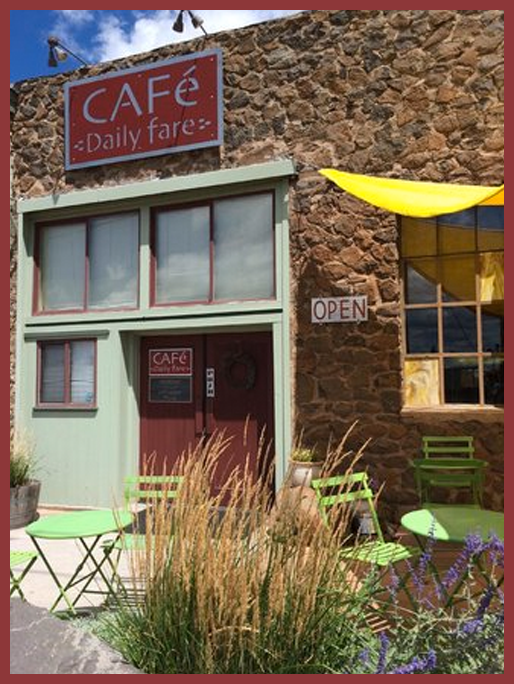 Cafe Daily Fare” offers the same fresh cuisine without the added cost of full service catering. We invite you to our new deli or we will deliver to your home or office. We use the greenest service ware possible. All plastic trays are recyclable and paper products are made from 100% post consumer materials. Please recycle! We are located at 408 E. Route 66, behind the Babbitt pre owned vehicles building. We are not directly on Route 66. Our driveway is 1/2 block east of Elden Street. Click the Google Map below to get turn by turn directions. Nancy McCulla grew up in Illinois where she started working in a kitchen at age thirteen. She moved out West to put herself through school, and eventually earned a Bachelor of Fine Arts in ceramics. 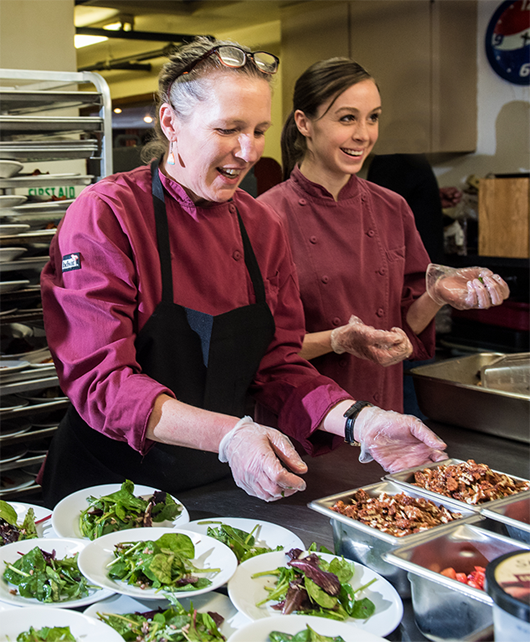 Nancy moved to Flagstaff in 1982 and started catering shortly thereafter as a side job. Several years ago, she an her husband Duffy took out a lease on the old Foundry and completely renovated it themselves to create the space we know today as Simply Delicious. Nancy has been determined to create a fun and safe kitchen to work in, and has achieved this goal with the help of her family and friends. Our kitchen team has over 60 years combined experience! Elegance never goes out of fashion, and it is with this spirit of inventiveness that Simply Delicious has been winning hearts since 1997. Here is a short list of local organizations we support. 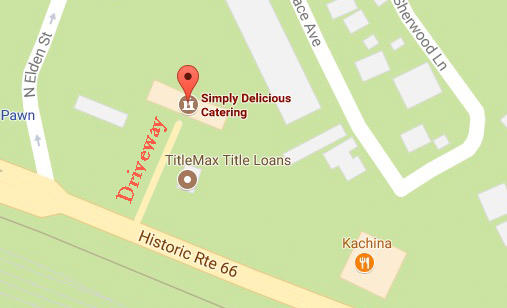 Click the map for turn by turn directions to Simply Delicious and Cafe Daily Fare.